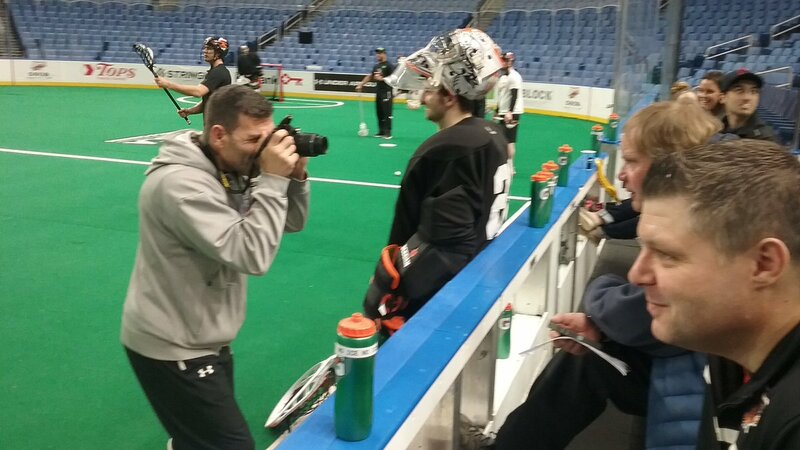 Hopes and expectations were high as the Buffalo Bandits prepared for the 2016-2017 season. And why wouldn't they be? 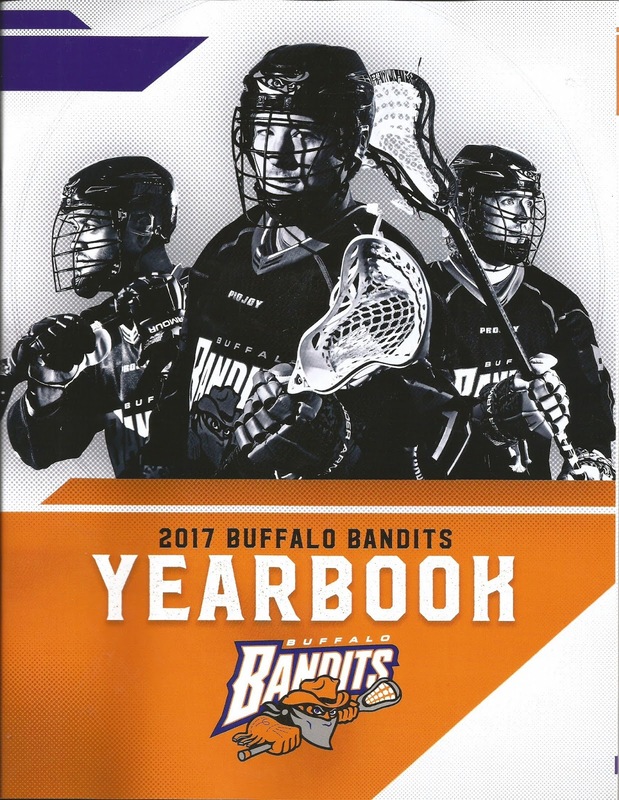 The Bandits were arguably a couple of bounces away from winning the National Lacrosse League championship in 2016. It had been their best season in eight years. They had one of the league's best players, coming off one of the great seasons in the league's history, ready to get even better. Buffalo had a nucleus of old pros to go with some good young players. Yes, everything had gone right until the end of the season in 2016. Rochester and Toronto fell off, while New England and Georgia weren't quite ready to fill the role of contender. Even if the Bandits slipped a little, they figured to be around the top of their division in 2017. What could go wrong? The answer was: What didn't go wrong? The first surprises came less than two months after the start of the offseason, when free agency opened. The Black Wolves struck twice, signing free agents Jay Thorimbert and Chad Culp. They weren't the team's biggest stars, but they were important contributors. Thorimbert was one of the best faceoff men in the league and a good defensive player who could take off in transition. Culp was willing to do the dirty work to allow others to get into scoring position, and could also contribute the odd goal. Both players said they wanted to stay in Buffalo, but apparently the salary cap got in the way. That set up the Bandits for a busy couple of days in September in Toronto. The first order of business was the NLL Draft. Buffalo went into the draft with three second-round picks, and came out of it with two. The other selection was swapped to Rochester for Brad Self, a veteran transition player who apparently had found a home with the Knighthawks after a few years of roaming the league. The idea was to move Mitch Jones up to forward, and use Self to replace him on defense. Justin Martin and Kevin Orleman, the first goalie selected in the draft, were the team's second-round picks. The next day was one for a celebration. The biggest news came when Dhane Smith was named the league's Most Valuable Player for 2016. "It's an unbelievable feeling," Smith said. "The other two finalists are great players, and there could have been 20 others in the league who could have been nominated." But there was more. Steve Dietrich won the award as the league's top general manager. Interestingly, Self - a Bandit for one day - was named Transition Player of the Year for his work in Rochester. Finally, John Tavares got his well-earned spot in the NLL Hall of Fame - unanimously no less, - while another ex-Bandit, Tracey Kelusky, also was honored. Buffalo opened its training camp in late November. The usual speeches were made about every roster spot being open, but realistically few changes were in the forecast. When the team reached the 20-man limit, only Self and Craig Point - signed as a free agent from Rochester - were newcomers. The practice squad and injured list had such young players as Tim Edwards, Orleman, Martin and Blaze Riorden, a college outdoor goalie trying his luck as an indoor forward. Still, the same nucleus would lead the team into the 2016-2017 season. "Everyone's excited," Billy Dee Smith said. "Going into this year, our motto is, no more excuses. We were close, but not quite there. There's no reason why we can't get the job done." It didn't take long for the Bandits to figure out that this season might be different. They opened the season at home against Colorado, and Buffalo didn't even score a goal in the first period. The Mammoth had a 9-2 lead halfway through the third period. The final score was 12-8, but it wasn't that close. "We talked about an honest effort and that was the farthest thing from an honest effort," coach Troy Cordingley said about a game that tied a team record for most one-sided loss on opening night. If you didn't like the Bandits' first game of the season, you hated the second one. It was the same script - a 5-1 deficit in the first half, and an 8-2 score in the second. Georgia went on to an 18-14 lead. And if that weren't enough, Dhane Smith missed most of the game with an ankle injury and would miss some time. "Somebody has got to take his place," Ryan Benesch said. "We've got to do it as a team." But the win didn't solve the Bandits' problems. They played their first road game on Jan. 28, and it was a close one. Neither side had more than a two-goal lead, and the Bandits tied the game with two goals in the final five minutes. But Kevin Crowley tallied with 53 seconds left to give the Black Wolves a 13-12 win. A week later, Buffalo lost on the road in more emphatic decision. Toronto jumped out to an 8-2 lead, got the margin up to 15-6 early in the fourth quarter, and went on to win, 18-10. Toronto led in loose balls, 92-72. Dhane Smith returned to duty, but clearly wasn't 100 percent yet. "We're not even a team," Cordingley said. "We're as far from a team as we can be. We're the farthest thing from what we were last year. The game was embarrassing." The team had been shuffling the roster a bit in this time period. Craig Point and Daryl Veltman were released, while players such as Craig England, Edwards, Riorden and Bryce Brochu got a chance to play. For a brief period of time, it worked. The Bandits ran off a three-game winning streak to wipe out part of the team's 1-5 start. It started in New England on Feb. 19, another back-and-forth game. Thirteen goals were scored by the two teams in the fourth quarter alone, the last coming by ex-Bandit Kevin Buchanan with 1:10 left in regulation to tie the game. Then defender Mitch de Snoo scored the most unexpected goal of the season, a breakaway goal 25 seconds into overtime to give Buffalo a 16-15 win. A few days later, the Bandits sent Mitch Wilde and a second-round pick to Calgary for two second-rounders. A week later, the Bandits scored the final three goals of the game to beat the Rock, 15-12. Alex Kedoh Hill had the game-winner, and Dhane Smith had a quiet 10 points if that's possible. "Now we have a little momentum going," goalie Anthony Cosmo said. The only cloud was that Benesch had suffered a concussion the previous week, and was out indefinitely. Buffalo's next game on March 4 was memorable for all the wrong reasons. The Bandits and Knighthawks followed a Friday night game in Buffalo with a Saturday afternoon game in Rochester. The Bandits had problems checking into a hotel late Friday in Rochester, and then got to Blue Cross Arena to discover they didn't have a locker room open. The confusion caused a delay in the starting time, and the teams eventually played a competitive game that was a little slow but still exciting. Buffalo appeared to have a win wrapped up, having possession of the ball and a one-goal lead in the final seconds, but a turnover led to a goal by Josh Currier with 2.1 seconds left. Dan Dawson of Rochester then won the game 1:02 into overtime. "I still don't know how the ball came out," Cordingley said about the turnover. Buffalo took a week off, and then came back refreshed in Vancouver. A 6-0 third quarter more or less took care of the outcome, and the Bandits took a 15-11 win. Saunders had three goals, and Dhane Smith had seven points. With Benesch coming back on March 25 in Rochester, the Bandits felt pretty good about their chances of getting to .500 this time. They played a great first three quarters defensively, but didn't score enough to put the game out of reach. Rochester got three quick goals to open the fourth quarter, setting up another close finish. Brad Gillies broke Buffalo's hearts with a goal with 2:05 to go, and the Bandits slipped to 5-7. The trading deadline came up two days after the Rochester loss, and Buffalo was involved in the only deals completed around the league. Self had some personal issues that led to him preferring to play in Colorado, although he never asked to be traded. Still, the veteran would be a free agent at the end of the year - and would probably leave without compensation. Dietrich decided that with Benesch back and some of the new faces at least contributing a bit, he could afford to make a trade. Self went to Colorado in a three-cornered deal that brought a couple of draft picks, including a second-round from Calgary. It was a gamble, since the Bandits had lost a veteran without receiving any immediate roster help. And April had a chance to be a rugged month, filled with tough teams on the schedule. But Self certainly appreciated the gesture, and maybe it would all work out. April started with the defending champs, and Saskatchewan was still a little better than Buffalo. The Rush took a 17-14 win, despite Dhane Smith's seven points. "It seems like we were going good there, but they've got a good team," England said. A week later in Calgary, the Bandits were no match for a Roughnecks team that went on to miss the playoffs. Buffalo faced another 8-2 deficit, this time in the third quarter, and could only make the score respectable by getting the last three goals of the game in a 13-8 loss. Those losses turned the situation desperate. Buffalo was 5-9 with four games to go, but was on the wrong side of tiebreakers with New England and Rochester. The Bandits didn't have to run the table the rest of the way to reach the postseason, but every loss hurt their chances. What's more, the last four games were against the leaders in the East, Georgia and Toronto. The Bandits started that stretch in Toronto on April 14 by falling behind, 4-0, after the first quarter. But a nine-goal run in the middle of the game changing things entirely. Buffalo's 13-8 win might have been their best game of the year. "I thought we played incredible. The guys really stepped up," Cosmo said. But the Bandits had to go to Georgia the next night to play the well-rested Swarm. They gave it a big effort, jumping out to an 8-3 lead and still clinging to a 13-12 edge after three quarters. But Georgia scored five of the next six goals from there, and held on for a 17-16 win. That left the Bandits with one path to the postseason. They had to win their last two games, and Toronto had to lose their last two. Buffalo did play the Rock in the last game of the season, but obviously needed a little help to reach the playoffs. before the April 22 game . It would be easy to blame "the lacrosse gods" for what happened on April 22. After all, it was pure bad luck what happened that morning. A cry of anguish was heard at one end of the field - Dhane Smith was down on the turf, and in pain. Smith had stepped on a lacrosse ball and reinjured his ankle. He couldn't put any pressure on it, and was helped off the field. Smith was out for the Georgia game, which sent a chill through the Buffalo locker room. Admittedly, Georgia was a very good team with the best offense in the league. Still, no one was prepared for what happened that night. With the season on the line and on a night when the late Tucker Williams was honored, the Bandits fell apart. The Swarm scored the first four goals of the game, and led by 10-3 in the second quarter. Georgia added an eight-goal run later in the second half to make it a 19-5 lead with about nine minutes left. It certainly could have been the worst loss in team history, but the Swarm stopped worrying about offense in the final minutes. The final score was 20-7, so it became merely the worst home loss in Bandits' history. Looking for the worst moment in franchise history? This might be it, depending on your definition. "That was the worst beating of my lacrosse career, and it came in the most important game of the year," Priolo said. "That just about sums up our season." The Rock scored seven straight goals to close out a 19-15 win before an impressive (under the circumstances) 18,417 in the KeyBank Center. That left Buffalo's record at 6-12, tying a team record for worst winning percentage in a season. It may not have been the worst season in Bandits' history, but it was the most disappointing. No year in pro sports is all bad, and there were some bright spots. Dhane Smith still scored 81 points despite his ankle problems. Jones had 31 goals and proved to be a good fit up front. Saunders was said to have played hurt (cracked ribs) but looked like a worthwhile investment at times. England finished with 17 goals and became part of the Bandits' immediate future. Priolo had another fine season, battling every moment he was on the floor. Edwards won more than 50 percent of his faceoffs and seems to have won a role on the team. Still, the defense was frequently leaky, and the team took too many penalties. The goaltending was rarely outstanding, and Cosmo's talk of retiring threw that position's future into uncertainty. Speaking of uncertainty, no one was sure what would happen next with the team. The Bandits did wrap up the first overall draft choice, barring expansion. Still, no one could be certain at season's end who would play with that draft pick and who would coach him. "It's a cutthroat business," Steenhuis said. "After a season like this, everyone is going to be looking for change. We're too good an organization to have a season like this. It could be a complete explosion, but change is going to come."